Spend 4th of July Weekend on the Sunny Islands of Malta, known far and wide for history, wine, and water sports. From your 4 star hotel in the center of Qawra, a typical Maltese Mediterranean village on St. Paul’s Bay, you will find yourself conveniently close to Bugibba Perched Beach, the Maltese National Aquarium, Bugibba Water Park, and multiple dive sites and dive shops. 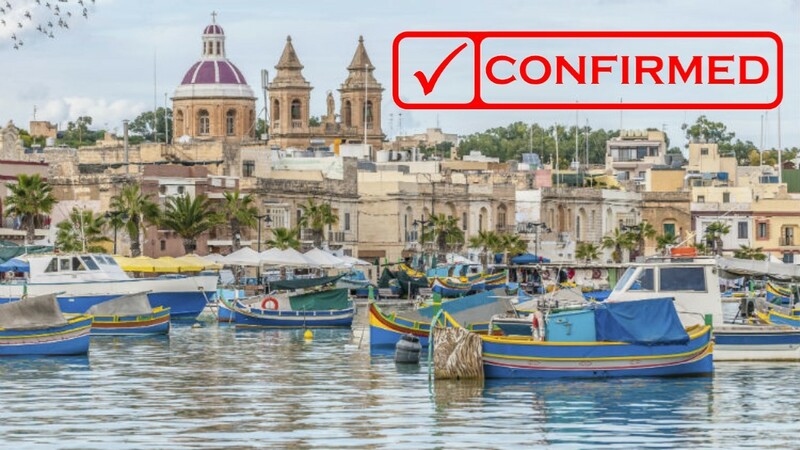 You may be tempted to stay in Qawra and enjoy the amenities of the hotel including indoor and outdoor pools, a sauna, fitness room and massage center, but if you want venture further afield you will find your choice of many bus and boat day trips, including visits to the historic cities of Valetta and Mdina. You can cruise to the Blue Lagoon at Comino, or you can take a day tour of the island of Gozo where you can visit the 7000 year old temples and Game of Thrones filming sites. If playing in the water is more your speed, you will be glad to know that Malta is a world renowned SCUBA and snorkeling destination where you can find countless ways to have fun in the sun, including jet ski rentals, party boats, water-jet-packing and so much more. Malta gets 300 days of sunshine every year! Reserve your space today to enjoy 4 of them, however you wish, with Kaiserslautern Outdoor Recreation. Airline Deadline: On or after Friday, April 19, additional airline price supplements may apply. For customer cancellations made on or after Thursday, April 18, in addition to the standard Outdoor Recreation 10% cancellation fee, non-refundable third party fees may apply.